Robert Shoun grew up in the Midlands, starting out in Columbia, then moving to Lexington County, graduating from Lexington High School in 1991. Dr. Shoun received his BS in Biology from the College of Charleston and his doctorate in dental medicine from the Medical University of South Carolina. Upon completing his doctorate, Dr. Shoun completed a General Practice hospital residency at Palmetto Health Richland Hospital, following which he practiced as a General Dentist in West Columbia, with a focus on children’s dentistry. It was during this time that he realized he wanted to further his education in the field of Pediatric Dentistry. He was accepted into the Pediatric Dentistry Specialty program at the University of Tennessee, where he began his studies in 2006. During his specialty training, his education focused on dental growth and development, caring for the anxious child, as well as caring for patients with special health care needs – often in the hospital setting. He also had the privilege of treating children at St. Jude Children’s Research Hospital as part of his specialty training. Dr. Shoun returned to Lexington where he has been practicing pediatric dentistry since 2008. He is now excited to be opening his own private practice, Midlands Pediatric Dentistry, where he will continue to provide outstanding care and attention to children in a setting designed to make children comfortable and encourage good dental health. Dr. Shoun is board certified by the American Board of Pediatric Dentistry. He is a member of the College of Diplomates of the American Board of Pediatric Dentistry, the American Academy of Pediatric Dentistry, South Carolina Society of Pediatric Dentists, MUSC Alumni Association, and Omicron Kappa Upsilon National Dental Honor Society. 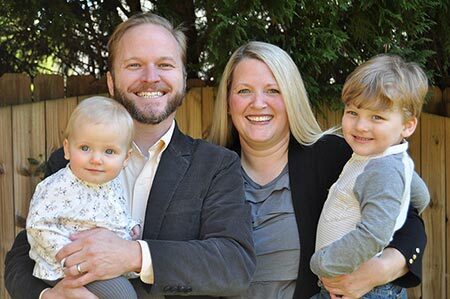 Outside of his office, Dr. Shoun enjoys spending time with his wife, April, their two children, Forrest and Laurel as well as reading and doing yoga. Staff photos and information coming soon!